If you work in an industrial sector, it may well be that you’ll find yourself in need a forklift now and then. For some businesses, that might necessitate buying the needed forklift(s). But there are other situations in which it might be better to simply rent that equipment. 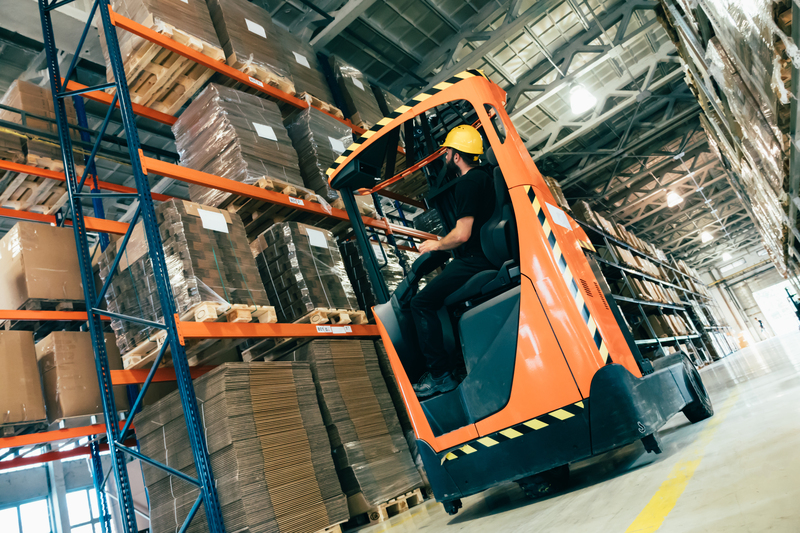 Here is a brief guide from your team at Hi-Lo Industrial Truck Company on what situations might benefit from forklift rentals. Maybe you’ve experienced a peak in business, or suffered a break down in a forklift you do own, but if you find yourself in a position that demands a forklift, and don’t have time to be shopping around or waiting on a delivery, a rental is a great option that you can have right when you need it. If you use forklifts only occasionally, a huge advantage of renting is that you’ll be able to rent more up-to-date equipment, including the latest features for both efficiency and safety. 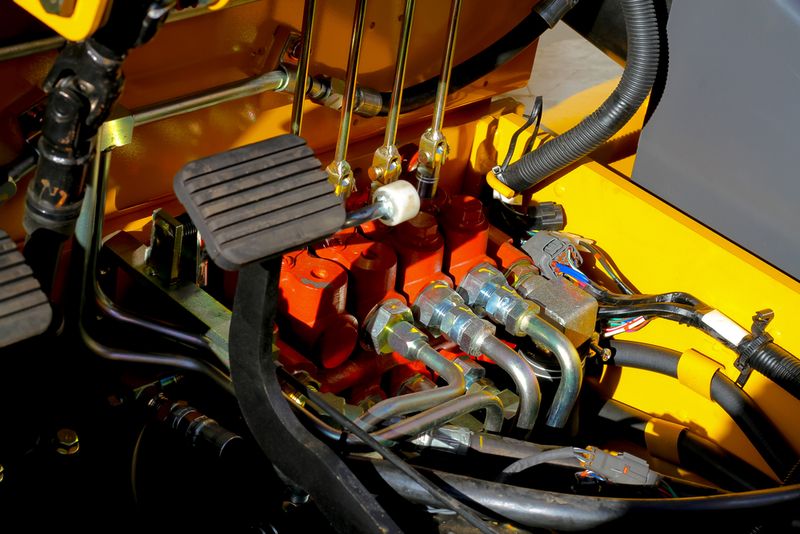 Buying equipment like forklifts is expensive on its own, but things like unexpected failures and ensuing maintenance costs can really blow your budget. Fortunately, when you rent, your maintenance costs are covered by the dealership! Renting often comes with “Rental Purchase Options” that help to manage the huge upfront cost of purchasing equipment, allowing you to plan and pay for it more easily. Here at Hi-Lo Industrial, we have what you need when you need it, and we can get you affordable rental plans for forklifts in your timeframe. Contact us today to get started! Barring serious accidents or catastrophic mechanical failures that make repairs prohibitively expensive, when is the best time to replace your forklifts? If you’re doing routine preventative maintenance and getting small problems fixed as they crop up, then it might be difficult to tell when it makes more financial sense to stop maintaining an old machine and invest in a new one instead. For that, you need to consider the lift’s maintenance cost per hour of its operation. A new truck that requires $1,500 of maintenance in a year and while logging 1,000 deadman hours has an operating cost of $1.50 per hour. An older truck that logs similar hours but requires $5,000 of maintenance, on the other hand, has an operating cost of $5.00 per hour—its approaching the point where it makes more sense to trade it in for a unit that costs less to operate. With all other expenses being roughly equal among the lifts in your fleet (and if they aren’t, accounting these other differences), tracking this number for each truck is the best way to understand the real return on investment you’re getting from each forklift. A good rule of thumb is that at $5.00 or more per hour, you should think about replacing your lift, but you should crunch the numbers specific to your business to come up with the best fit for your company. At Hi Lo Industrial, we can help you service your trucks for their entire lifespan, and as well as help you find new ones when the time comes. Last month we wrote about things that forklift operators can do to protect themselves from making injury-causing mistakes. It also included a few tips to help avoid collisions with racks and shelving. But because forklifts are so necessary to working with large amounts of inventory, they have become the number one hazard in a warehouse environment. In an effort to reduce forklift-related accidents, there are more safety ideas that you should probably implement. Here are three products that you can use in your warehouse to make it safer for your facilities, goods, machinery, and of course, personnel. Using floor stripes to mark out pedestrian lanes and other zones that are off-limit to forklifts can help to direct foot and truck traffic so that they never intersect. 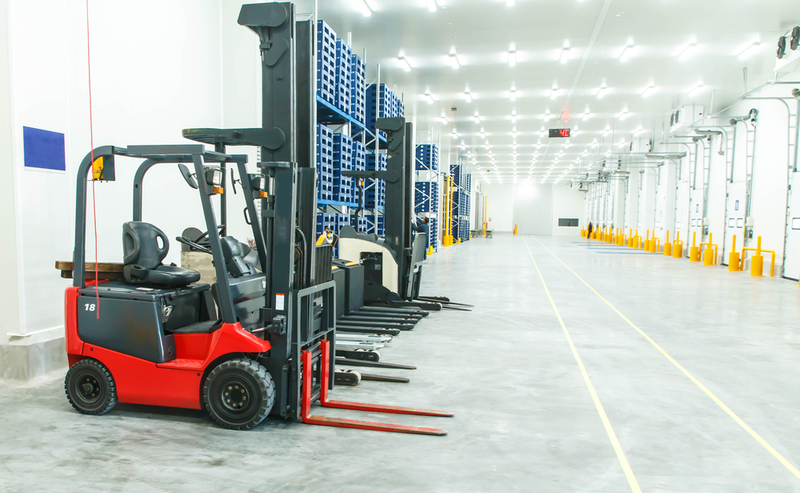 Any vertical structure that supports racks, walkways, or ceilings should some form of guard on it to absorb impacts from accidental collisions with forklifts so that nothing falls or collapses on workers or machinery below. 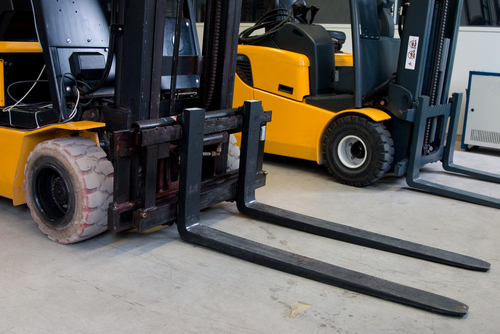 You probably have appropriate railings where there is a risk of falls, but railings can also be used to create barriers to separate your forklifts from areas that they don’t need to enter. Bollards can provide the same protection. They should be anchored securely to the floor and need to be spaced close enough together that a forklift cannot fit between them. Take the time to walk through your warehouse and make note of any areas that could benefit from extra safety equipment. Using these precautions as well as the tips from last month’s article, you can make your workplace safer for everyone and everything.